Nonprofit organizations and educational institutions have been the heart and soul of Perfect Image for decades. We deeply respect and appreciate your role in our communities. Because of our longstanding ties, we understand the challenges you face and the many hats you wear. We know the shoe-string budgets you are given for every event and campaign, year after year. And we relish in the opportunities you give us to help you do more with less. Fundraising is central to your success and future, and based on our experience, we imagine your programs are under continual scrutiny. Are they working? Will they work tomorrow? Every day, Perfect Image helps organizations like yours say yes to both questions. Reinvigorate your donor base: Perfect Image is a savvy native in the world of donor databases. 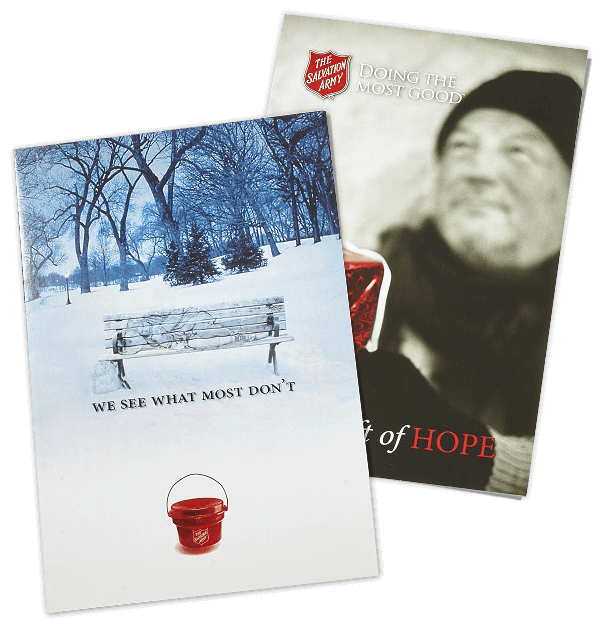 We understand the importance of identifying and reinvigorating donors who are on your lists. We know the nature of LYBUNT lists (last year but unfortunately not this year) and SYBUNT lists (some year but not this year). Regardless of the list name, we’re adept at helping you cost-effectively manage the recency and frequency of your communications in ways that move people to act. The goal is to get the most from your donor base and keep the relationship going. Formalize your process by letting us help you craft, version and manage your donor outreach programs and annual appeals. Get creativity on tap: Perfect Image understands the importance of branding, relevant one-to-one messaging, and the absolute power of beautiful imagery and the written word in motivating hearts and minds to support your cause. We also know there are times when you need creative talent to bring ideas to life. This is why we assist you with creative concepting, art direction, graphic design, copywriting and photography – and we have the multichannel communications tools you need to deliver your campaigns. Drive awareness: Our experience has made us experts in helping organizations identify the most effective ways and channels to drive awareness of fundraising initiatives. The goal is to know where your target audiences spend their time and to meet them there – not wait for them to come to you or spend valuable communications dollars in the wrong places. Whether they’re online, offline, on the street or in a cab – we are channel researchers and media planners, and we can help you reach your targets where they are most likely to see and hear you. Make your event shine: Invitations, programs, signage, emails, and online landing pages for event information, registration and direct contributions – we do it all. We can help move your fundraising event from concept to flawless execution. PI has a strong focus on continuing to make sure we are successful, even when a project goes beyond the original scope of work. If I need it yesterday, they can usually make it happen, or they will try to. They understand what we do. They understand our constraints. They are very sensitive to what we need.